Croom Concrete has many years’ experience in the design, manufacture and supply of precast concrete railway troughs. 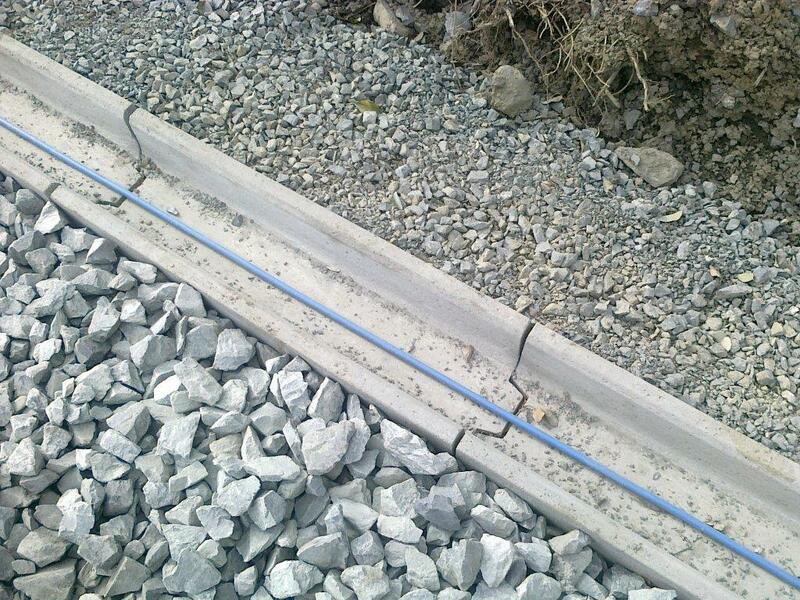 Railway troughs are designed to safely support and enclose power and communication cables, and protect them from damage. There are made from solid, precast concrete and can be sited above ground or buried under the surface. Cable troughs provide easy access for maintenance, repair and improvements, as well as giving complete protection. A railway trough will usually have a flush-fitting lid. 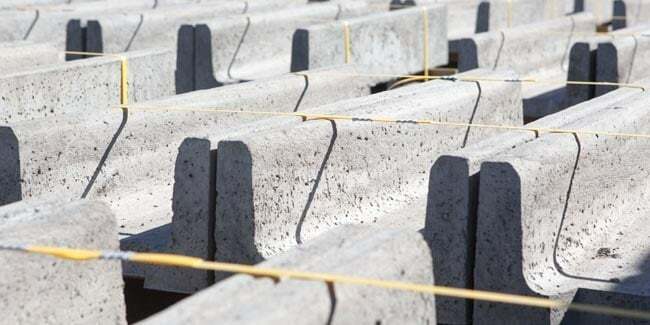 The precast concrete used is resistant to chemicals and non-conductive to electricity, and can protect cables from freezing or overheating in extreme weather conditions. We maintain a large, permanent stock of up to 1500 meters of railway cable troughs, and have the ability to produce up to 2500 meters a week. We stock a variety of railway troughs, including curve, transition and t-piece troughs, and a full range of lid locks. For customers who have specific requirements, we offer a full bespoke service and can work with you to design, manufacture and supply one-off items. Croom Concrete has undertaken several major contracts for Irish Rail, at a variety of their sites around Ireland. 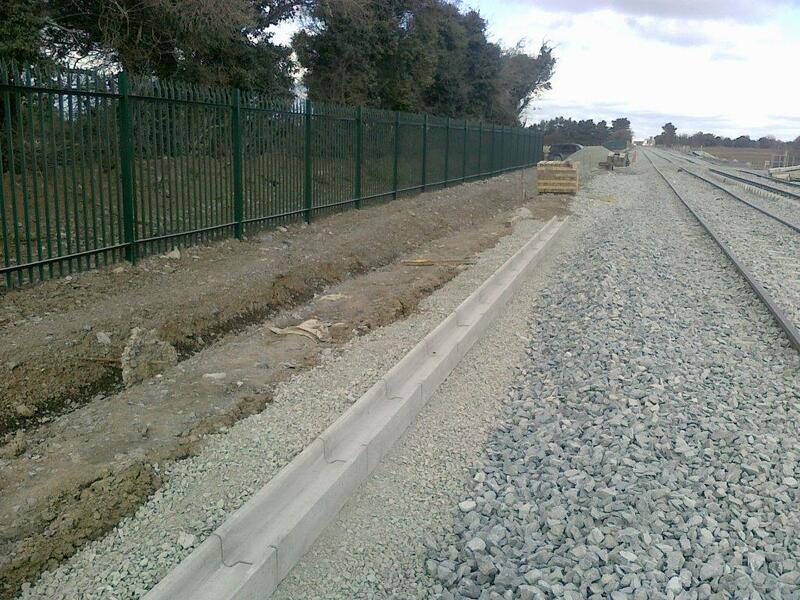 Our most recent collaboration is in the Inchicore area of Dublin and involves 1,000 linear meters of railway troughing. 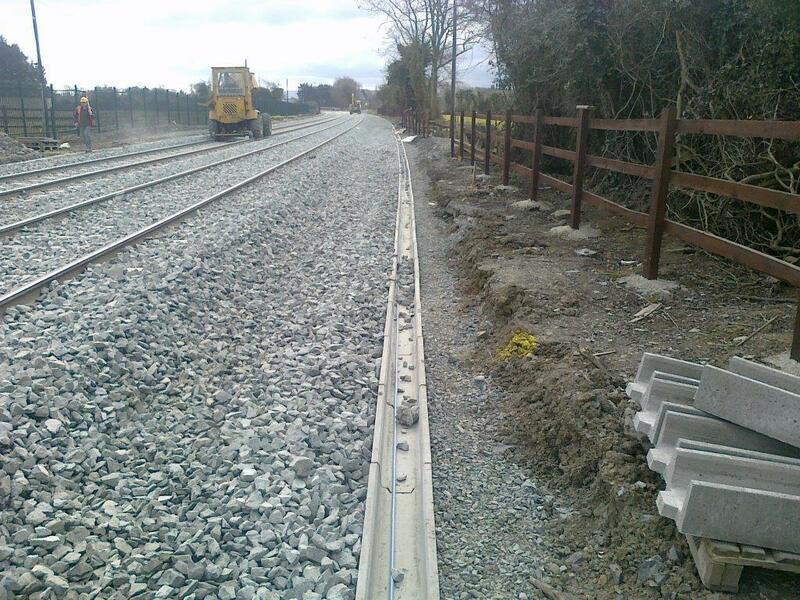 Clonsilla to Pearse line where 18,000 linear meters of troughing was installed. 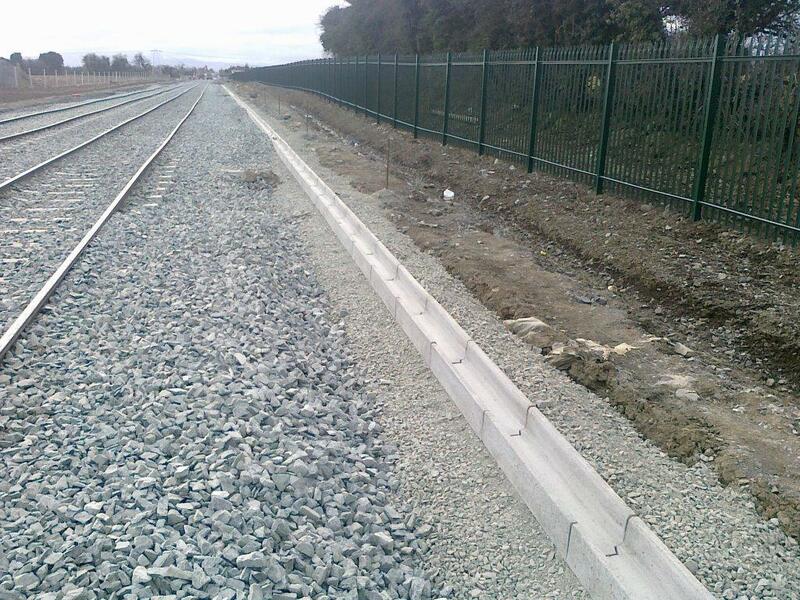 3,000 linear meters of railway troughing in the Greystones area of Co. Wicklow. All these jobs used C1/9 toughing.